Earlier today 23,000 runners tackled the Miami Marathon despite freezing, rainy conditions. Guess who ran along side them for the entire Miami Beach portion? Your favorite born-again-runner-slash-Miami-blogger, of course! You see, every Sunday morning I get up early and go for a long run either through South Pointe Park and over the MacArthur or up the beachwalk across the Venetian Causeway. The exercise and the views are my surefire way of preventing the Sunday blues from kicking in. This morning I left for my run to the horde of marathoners running past my doorstep, down my go-to routes. As I watched them pass by, I was reminded of when I ran the Key West Half Marathon two weeks ago and set a new personal record, finishing in 2:02:43. The memory of my accomplishment and the enthusiasm of the spectators—I especially credit the guy chanting in the white robe and the guy strumming a banjo on Ocean Drive—gave me major FOMO. 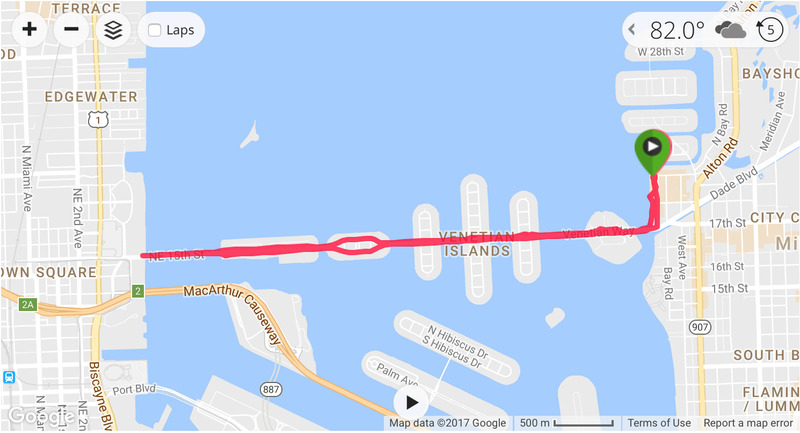 I desperately needed to be a part of the action and, since I was headed their way anyway, I decided to run the Miami Beach portion of the course. This was my second time running the Miami Marathon. The 2012 Miami Marathon was the first half marathon I ever ran, inspiring me to run 4 more since. And, while today's participation was informal, it was an electrifying experience nonetheless. I can't stress how lucky we are to live in a city with routes so scenic people traveled from 82 different countries to race here. Whether you're an experienced runner or just getting started, Miami Beach is the perfect setting for logging those miles. What are your favorite routes? I share my top two, along with photos from today's adventures, below. Spanning the Venetian Islands and connecting Miami to Miami Beach, the causeway offers beautiful views of the city while being surrounded by the pristine waters of Biscayne Bay. There's nothing like the salty breeze and the views to get you going. 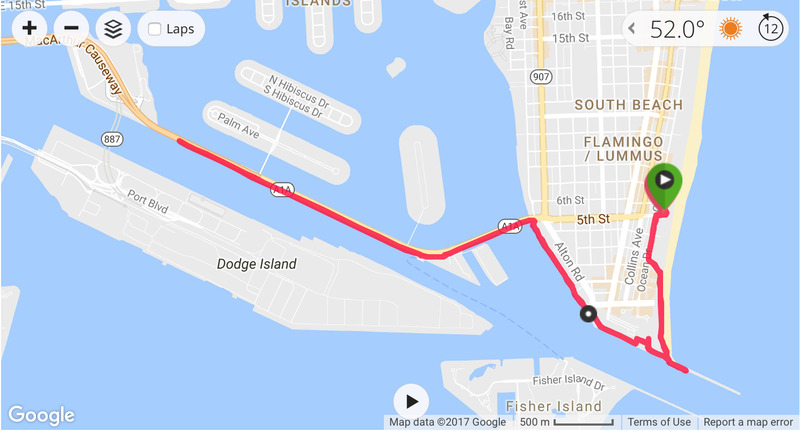 The loop from the Sunset Harbour public parking garage to the Venetia on the City of Miami side and back is approximately 6 miles. Pro tip: There are no water fountains along the way so bring your own. Restrooms are available on the Miami side on the 9th Floor of the Venetia (next to Mike's at Venetia). The beachwalk that runs along South Beach's east coast is an ideal place to run both northbound and southbound. For my 8-mile runs, I like to immerse myself in the action of Lummus Park, around the beauty of South Pointe Park, along the MacArthur Causeway and back. The best part is running to the end of the South Pointe Park pier and back, which I hit twice during this route. There are plenty of restrooms and water stations (at 6th Street, 3rd Street, and at South Pointe Park), making this loop ideal for longer runs. Pro tip: The MacArthur can be daunting because there's nothing to separate you from Miami's terrible drivers, so tackle it early in the morning when it is less trafficked and keep a watchful eye for cars. As an environmental professional with a Master's and a seven-year career, I have a thorough understanding of the ethical, environmental and economic pros and cons of buying local produce. I am also familiar with the environmental and health benefits of choosing organic produce. And, while I am by no means a subject matter expert, I am sufficiently educated to know that sourcing local and organic produce is my ultimate goal as a consumer. That said, I am also enough of a realist to understand that I cannot always source local and/or organic produce due to a variety of reasons (cost, availability, etc). From the moment I received my invitation, I couldn't wait to share my experience with you. The Redlands have a lot of hidden gems like Three Sisters Farm that make Miami super awesome and—because they're out of sight, out of mind—we often forget that they're there, ripe for us to explore. Much to my surprise, when I excitedly shared a photo during our tour of the farm, I was bombarded with messages of disappointment that this blog was supporting an organization whose owner last year condemned our local culinary community. I was extremely shocked to receive your messages. As a local blogger, I have a pretty good pulse on local news, but somehow this story evaded me until you brought it to my attention. My choice to visit the farm was independent and without knowledge of Chef Gambino's comments. I want to reiterate that this blog has always been and remains an avenue to support, not tear down Miami's people, places and businesses. I therefore do not condone his incendiary language. That said, as an environmental professional that works daily to change people's behavior toward the better, I can certainly understand the passion behind his message. Three Sisters Farm works hard to grow produce that does not depend on the high volume of fertilizer and pesticides other Florida farms have to use to yield species (i.e., tomatoes) that our local soils and climate are not intended to grow. Doing so comes with certain challenges—for example, Three Sisters Farm is slowly migrating their crops toward tropical fruit like jackfruit and lychee that thrives here even if it is not as lucrative as other fruits. The people who work at Three Sisters Farm, like the "original third sister" Rachael Middleton, have a lot of love for the farm and are devoted to doing what is best for the health and environment of the farm and our community. From what I experienced, the fervor behind Chef Gambino's statements, while misguided and generalized, comes from a place of love for the farm's mission and a desperate desire for Miami's restaurateurs to strive for the ideal of buying not only local, but also organic. There is a lot of good in our culinary community that I would like Chef Gambino to recognize. There is also a lot of good in Three Sisters Farm's work and their monthly Brunch and Tours that I want those of you who are disappointed by his comments to recognize. The property is beautiful—their treehouse reminded me of the Costa Rican jungle—and the people who work it are extremely passionate about what they do. Not to mention they grow quality produce without compromising the health of the land and of our bodies. 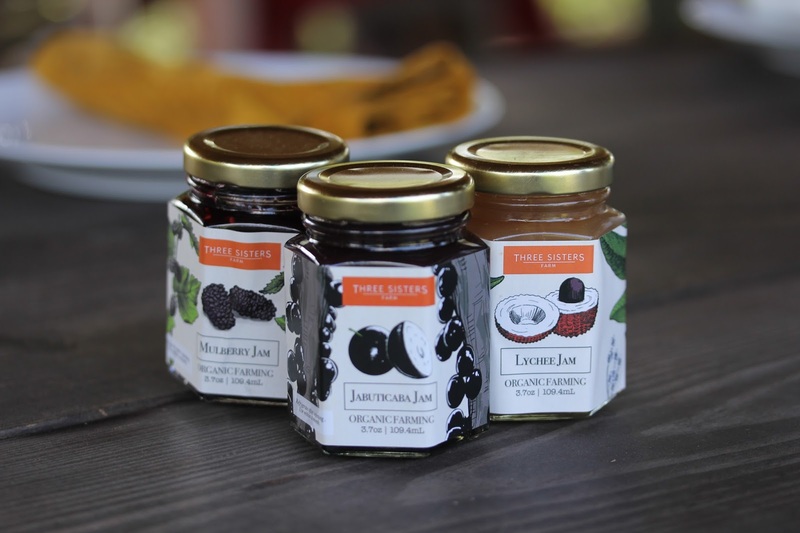 Whether you're looking to do a quick pick-up of local and organic produce, you want to learn about eating local and organic, or you just need a quick getaway, a trip to Three Sisters Farm is well worth it. Pour all dry ingredients except salt and yeast in a mixer with a paddle attachment. In a separate bowl, combine egg whites, water and yeast. Turn the mixer on low and the liquid, then the salt. Mix until the dough becomes less sticky and comes together (approximately 15 minutes). Let dough proof in warm area for 1 hour, then shape into 60g balls and let rest for 10 minutes. With a rolling pin, roll dough balls and fold over then place on oiled parchment paper. 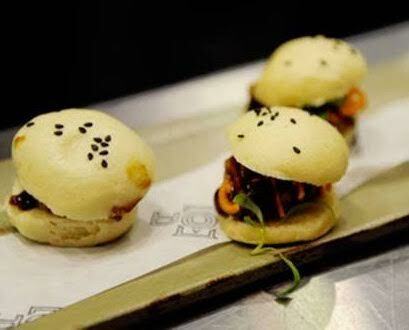 With a brush, layer a light coat of water then sprinkle black sesame seeds on top of the buns. Let rest 10 minutes before putting int steam bath for 15 minutes. Yields 25 buns. Roast pork belly in oven at 300 degrees Farenheit for 2.5 hours. When cool, portion into 25 pieces. When buns are steamed, place pork belly pieces inside buns and finish with hoisin sauce and pickled carrots (or kimchee). Miami gets a lot of attention for the attractions that make it appealing to tourists—the beaches, the clubs, the shopping malls, the restaurants, and, of course, the resorts. However, at the core of our unique city are the residential areas that are full of history, are overflowing with local flavor, and are every bit as beautiful and enjoyable as the tourism hot spots. Taking a step off the beaten path and exploring these areas can help give you a new perspective on the composition of the city and make for a more dynamic travel experience in Miami. Today we share four of the neighborhoods that are well worth exploring when you visit Miami. They’re all residential areas, but each has a lot to visitors as well. Arguably the most unique neighborhood in the city, Little Havana may also be the most authentic “Little (Fill-in-the-Blank)” in America. As The Guardian noted in its own write-up of the quarter, this is due in large part to Fidel Castro’s time in power in Cuba, during which large numbers of Cuban citizens immigrated to Miami. The result is a stretch of the town where everything from cigar shops and restaurants to public art and domino games in the park has become a home-away-from-home for Cuban culture, a place to find the ultimate Miami experience. Come to learn about the history of Cubans in Miami and stay to eat the pastelitos, croquetas y coladas. If you’re looking for a taste of the more exclusive side of South Beach, look no further than this extravagantly rich neighborhood. Palm Island is a man-made island situated in Biscayne Bay known for its big, luxurious homes and noted celebrity residents (think, Al Capone, Barbara Walters). While there is not quite as much to do here as, say, in Little Havana, the island is well-deserving of a quick tour. Rent a bike in South Beach and pedal power your way over the MacArthur Causeway, through its 82 acres of mega mansions, pocket parks and beautiful bay views for a taste of how the 1% lives the Miami life. Another wealthy neighborhood by the sea, Palmetto Bay is a little more accessible than Palm Island, and possibly better suited to visitors although further substantially further from the city's downtown core. 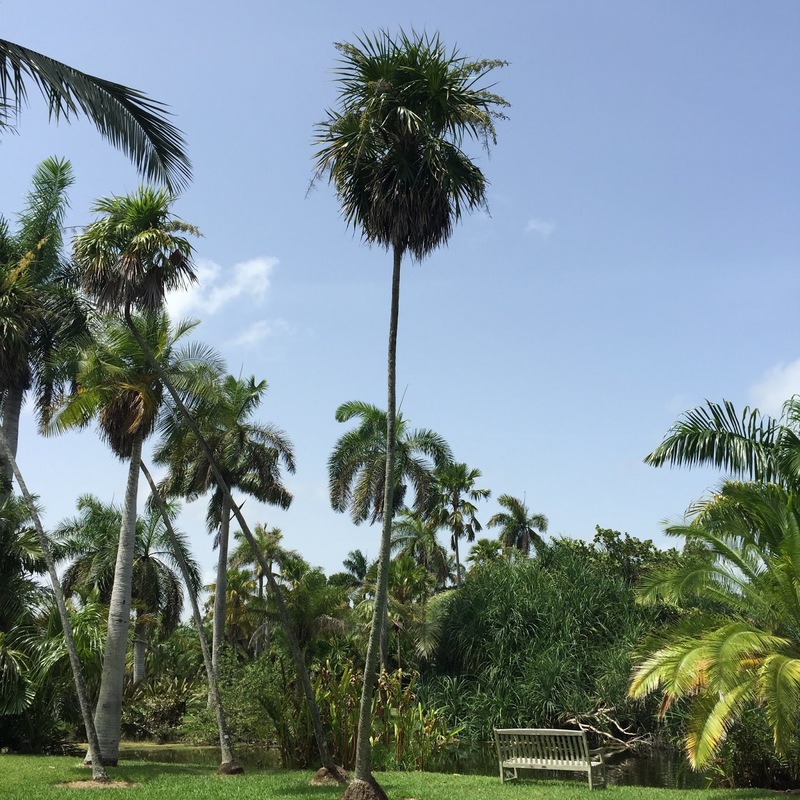 In its own look at some of the best residential areas in the city, Discover Homes Miami spoke to Palmetto Bay’s nickname as the “Village of Parks,” resulting from its nearly unlimited recreational land for running, picnicking, and simply hanging out outside. It’s a nice place to visit if you want to enjoy the beauty of Miami and our incredible weather without the massive crowds common to more touristy areas. Plus, it’s home to a lot of outstanding restaurants, with Alaine’s Osteria, Pho Tang Restaurant, and Marie Patties being a few of the highlights. 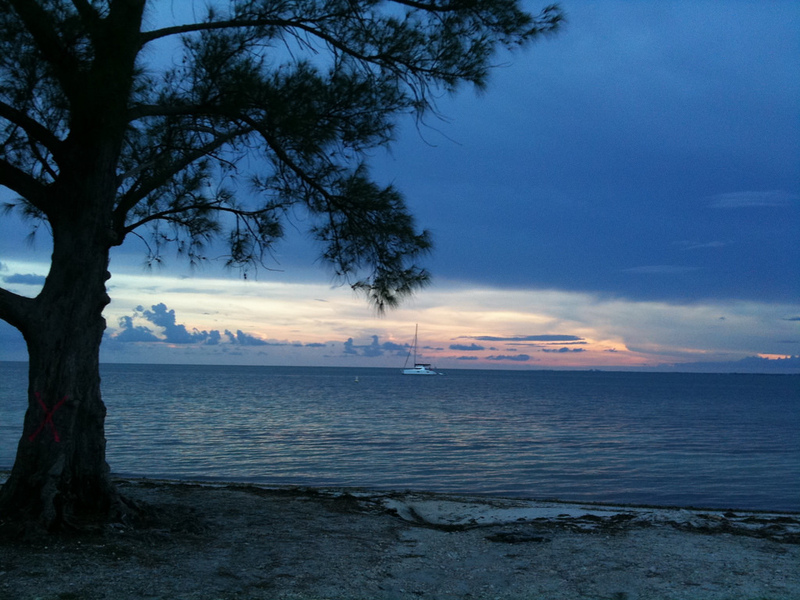 Key Biscayne may be the most misunderstood of the major Miami neighborhoods by non-locals. This is because, despite its name, it’s not actually part of the Florida Keys. Indeed, as Frommer’s made sure to point out in describing this area, it’s really nothing like the Keys! Key Biscayne is largely residential, packed with stunning and expensive homes. 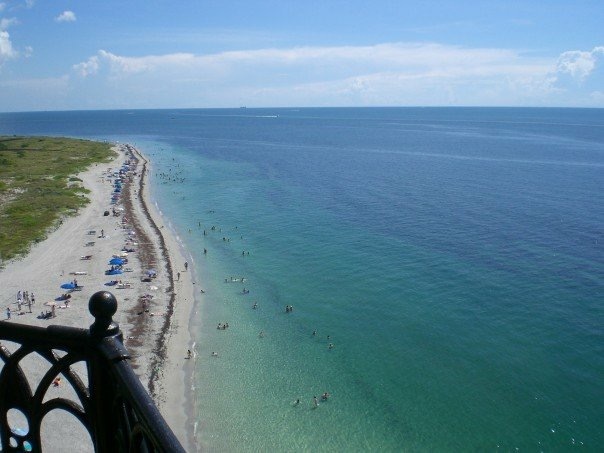 It’s a great place to visit for the more active tourists checking out Miami looking to connect with an extremely active local road cycling and mountain biking community or enjoy an array of water sports at nearby Crandon Park or Bill Baggs State Park. Saturday, January 14 at 6 p.m.
As part of Biscayne Green's one month public space intervention, wherein a large portion of Biscayne Boulevard has been converted into a new active public space, Prism Creative Group is curating a series of food, music, networking, and movie events. On Saturday, the space will be converted into a food festival featuring 12+ eateries, live acts, handcrafted libations and more fun. You may see some friendly faces we've raved about before like our friends at Manna Life Food, Toro Toro, and Jar + Fork. Register here. Saturday, January 21 at 12 p.m. The food blogging dynamos behind The Hungry Post regularly organize events around indulging in food and drink. Their first one was at Cantina La Veinte in 2016 and has since hopped around to other delicious venues in the neighborhood. To kick of 2017, they are hosting their next #BlurryBrunch at the River Yacht Club where you can dine on fizzy cocktails in, as they joke, "close proximity to some shiny vessels". Table reservations are required. For more info on the event and how to reserve your table, read more here. Saturday, January 21 from 2 p.m. to 6 p.m.
We love a good reason to celebrate! In honor of Chilcano Week, SuViche is offering a happy hour for from 3 p.m. to 7 p.m. with $5 traditional Peruvian cocktails at the restaurant's Wynwood and Las Olas locations. On Saturday, starting at 2 p.m., they will also be offering $18 bottomless Chilcanos (staple Peruvian Pisco cocktail, handmade with homemade Macerados, ginger ale and a dash of bitters). Saturday, January 21 from 6 p.m. to 9 p.m. The Cambridge Innovation Center, CIC Miami for short, is a new entrepreneur hub and work space in the University of Miami's Science & Technology Park that aims to boost local start-ups. To celebrate its launch they will be transforming their 1st and 6th floors into spaces filled with interactive exhibits, community partners, entertainment, food trucks, and drinks. The party will kick-off at 6 p.m. with a fireside chat featuring CIC CEO Tim Row and UM President (and Mexican!) Dr. Julio Frenk. Register for this free event here. Friday, January 27 from 10 p.m. to 4 a.m. The space previously occupied by the club of our college days, Mansion, has a new tenant and they're throwing a party to end all parties to celebrate their arrival. Copa Room is primed to become Miami's only all inclusive entertainment complex. (We're talking one-of-a-kind Vegas-style shows with professional entertainers, acrobats, and premium open bar all night.) The best part? You can come as you are—tuxedo, shorts and every dress code in between to suit your mood. Purchase your tickets here. Florida residents get 50% off tickets with a valid Florida drivers ID at the door. Saturday, January 28 from 4 p.m. to 8 p.m. Earlier this month we told you about our incredible A Taste of Heaven experience absorbing the tropical Miami vibes of Patch of Heaven Gardens and devouring the delicious five-course meal prepared with cacao by Cao Chocolates. The reprise on January 28 is your chance to take part in this unique event. Proceeds from the event will benefit the creation and expansion of the existing forest and cacao trees on the gorgeous 20-acre property. Purchase your tickets here. Saturday, January 28 from 8 p.m. to 1 a.m. The Wynwood Yard will play host to the CD release party for local band, Problem Kids. If you're looking for live (and free) music on Saturday, come support local talent and celebrate their new album Caribbean Slang. Their spanglish rhymes set to hip-hop, funk, and tropical beats is the perfect accompaniment to a beautiful evening under the stars at the Yard. For more info on the event, read more here. VeritageMiami Presents "Craft Beer Tasting"
Thursday, February 9 from 7 p.m. to 9 p.m.
Hurricane Matthew may have prevented VeritageMiami from taking place in October, but he did not stop the party indefinitely. United Way of Miami-Dade's annual festival fundraiser, which was postponed, is back for four days of upscale wine and food wonder with craft beers, fine wines, culinary treats, celebrity chefs, one-of-a-kind auction experiences and spirited bidding to support their work transforming lives in our community. As one of their most popular events, the Craft Beer Tasting will bring bites from local restaurants and brews from top-notch local, regional and national craft breweries to Wynwood Walls. Pro tip: Splurge for the VIP ticket which allows you access at 6 p.m. so you can eat and drink your fill before the crowds arrive. It's well worth the extra $20. Purchase your event tickets here. Following their UN exhibition in NYC, Street Art for Mankind has partnered with Villa Azur and Brasserie Azur to bring their exhibition to Miami. 35 street artists from around the world will unite here to create unique and monumental paintings that bring to light the tragic reality of child labor and child slavery. Funds raised from ticket and art sales will benefit the "raid and rescue" and "child-friendly village" work of Nobel Peace prize winner Kailash Satyarthi. Click here to purchase your tickets and get more information on the exhibition's events, tours, and classes. There are only a handful of quintessentially South Beach experiences we have never pursued, the annual South Beach Wine and Food Festival (SOBEWFF, for short) is one of them. Whether you're a returning fan or attending for the first time, you cannot miss this year's festival. 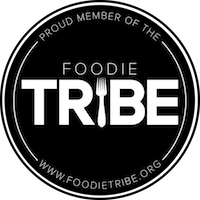 Not only is there more involvement from the local food community (Foodie Tribe is an official partner! ), but this year's tribute dinner is also on point with Anthony Bourdain as host and Chef Jose Andrés as the guest of honor. Other "So Miami" events we're hoping to attend include "Salty, Sweet & Savory Treats" featuring The Salty Donut and "Croquetas and Champagne" on Saturday night. Purchase your SOBEWFF and event tickets here. While you're on the Beach for SOBEWFF, walk off your indulgences by taking a trip west to the Herzog and De Meuron building on Lincoln Road. There the Young Artist Initiative, in partnership with Lincoln Road's #OnLincoln series, will be hosting a three-day exhibition that evokes the study of duality between function and aesthetic in art, architecture and design. The exhibition itself will exist as an experiential art form through its collection of immersive artistic interpretations from a curated group of emerging artists, architects, and designers. Purchase your tickets here. Formerly the Gilt City Warehouse Sale, Gilt City, in partnership with Style Saves, brings the Gilt Sample Sale back to Miami for two days of on-site styling, on-demand tailoring, luxurious pop-up shops, a Gilt City concierge and more! We're talking 80% off of shoes, clothes, handbags, and home décor from designers like Prada, Balenciaga, and Valentino. For only $25 you get first dibs on Friday from 7 p.m. to 9 p.m. Purchase your tickets here. Saturday, March 4 from 12 p.m. to 6 p.m. Concrete Beach Brewery is closing NW 24 Street for a block party to celebrate Mardi Gras and the launch of their new beer of the same name (available for a limited time only on tap at the Social Hall and in limited release as 12 oz. cans at select retailers across Miami). Like Mardi Gras, the high-energy street festival will fuse culture, music, food and drinks to celebrate the international diversity of Miami. Festival goers are encouraged to dress the part and, those who arrive in Carnaval costume, will have the chance to win a VIP party at the Social Hall for up to 10 people. $1 of each Mardi Gras beer sold during the event will benefit the Rhythm Foundation. RSVP here. Friday, March 10 from 7 p.m. to 11 p.m.
Food and art mesh for an evening of outdoor culinary tastings, live performances and art displays in LaudyPOP's debut year. The Fort Lauderdale festival will highlight the area's rising cultural and culinary hidden gems and local talent. Guest will indulge in everything from appetizers to decadently sweet desserts from local hotspots like Beauty and the Feast, Tsukuro, and Ocean 2000 served on "pop"sicle-like sticks or skewers for an easy, grab-and-go experience. Get your tickets here—they're only $55 before January 31. VeritageMiami Presents "Fine Wine Tasting"
Wednesday, March 15 from 7 p.m. to 9 p.m.
United Way of Miami-Dade's annual festival fundraiser, which was postponed in October due to Hurricane Matthew, is back for four days of upscale wine and food wonder with craft beers, fine wines, culinary treats, celebrity chefs, one-of-a-kind auction experiences and spirited bidding to support their work transforming lives in our community. The Fine Wine Tasting allows wine snobs like us to sample wines from around the globe (paired with food from South Florida's top dining destinations) within the elegant setting of the Shops at Merrick Park. Pro tip: Splurge for the VIP ticket which allows you access at 6 p.m. so you can eat and drink your fill before the crowds arrive. It's well worth the extra $20. Purchase your event tickets here. Friday, March 17 at 8 p.m.
On St. Patrick's Day, Brimstone Woodfire Grill is going to be lit. They're going to have a guest leprechaun and go-go dancers, for Pete's sake! Plus they're encouraging leprechaun costumes with a prize for the best one. Have plans? Cancel them and join the insanity. You'll be handsomely rewarded with $15 unlimited green beer, $8 Lucky Charms martinis, and $5 shot specials. RSVP to the event here. Friday, March 17 at 10 p.m. Following a two-year anniversary family-style Persian feast on March 15, Fooq's continues the celebration with a late night soirée at Downtown Miami's newest live music venue, Floyd. Located just steps away from the eclectic eatery, Floyd welcomes guests to celebrate with a live set by New York-based electronic musician, SAINTE VIE. RSVP via e-mail to reservations [at] fooqsmiami [dot] com. Monday, March 20 from 7 p.m. to 10 p.m. Taste of Tennis Miami is back for another year, this time overlooking Miami's gorgeously lit Miami skyline atop the W Miami. 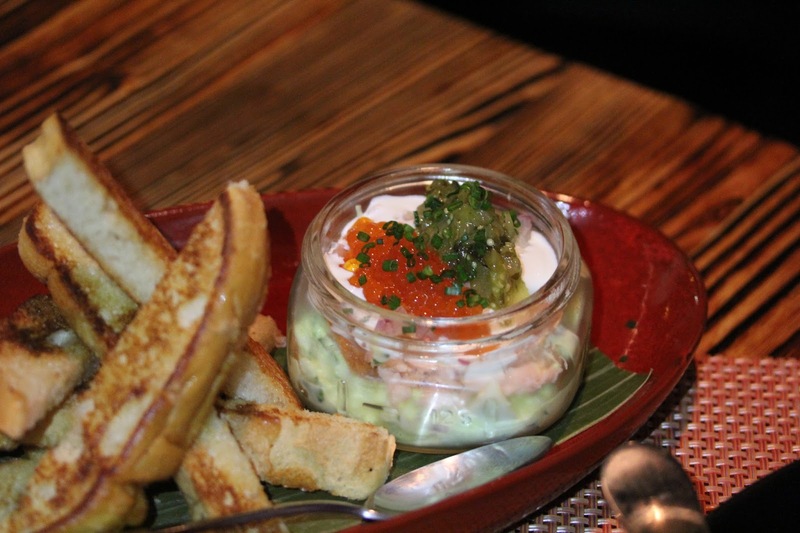 The event, which kicks off the week-long Miami Open tennis tournament in Key Biscayne, is your chance to indulge in the delicious fare of local restaurants (think, Nobu, db Bistro Moderne, and Phuc Yea) amidst some of the world's top tennis and Miami's top chefs. Purchase your event tickets here. In Miami, every month is themed and March is Shop Miami Month. (As if we needed more excuses to shop, amirite?) This means in shops around Miami the traditional shopping experience has been transformed to be even more creative and interactive than it already is. The best part? All three of the shopping districts in our neighborhood—the Lincoln Road Shopping District, the Española Way/Washington Avenue Shopping District, and the Collins Avenue/Ocean Drive Shopping District—are participating. Beyond South Beach, Dadeland Mall has featured specials and events. Similarly, the Falls is offering an amazing roster of sales, specials and events all month long! The Knight Arts Challenge grants are back for another year and these community conversations happening around Southeast Florida are your opportunity to meet the Knight Arts staff and get your questions answered on how to submit the most competitive 150-worded idea for bringing our community together through art. Grant application submissions will be accepted from March 28 through April 28, 2017. Find more information on community conversation locations and register for a session here. VeritageMiami Presents "Auction & Bubbly Brunch"
Sunday, March 26 at 11 a.m.
United Way of Miami-Dade's annual festival fundraiser, which was postponed in October due to Hurricane Matthew, is back for four days of upscale wine and food wonder. For their final event—their pièce de resistance—United Way will auction one of a kind experiences to support their work transforming lives in our community followed by a delicious brunch of 50 Eggs Inc. (Yardbird, Swine, etc.) fan favorites. 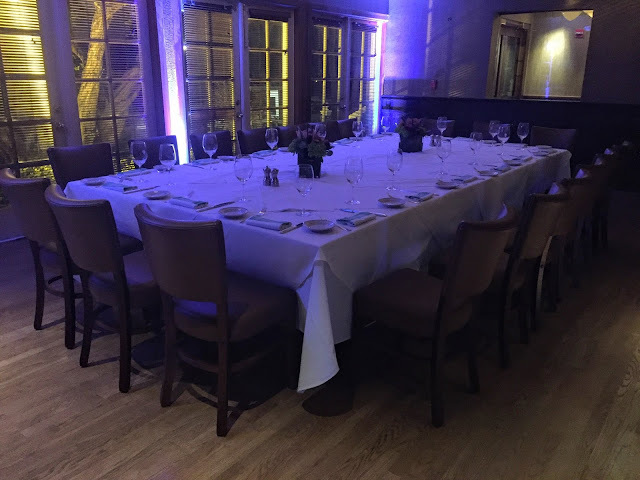 Purchase your event tickets or table of 10 here. Sunday, March 26 at 8 p.m.
Miami is a melting pot of cultures and there is no better example than the upcoming arrival of Argentine ska band, Los Fabulosos Cadillacs, to our sunny shores. Argentine? Ska? Argentine ska? Yea, it's a thing and this band—best known for their collaborations with Celia Cruz and their song "El Matardor"—has been making it happen since the 1980s. We've been talking about how we have to start giving you a head's up about can't miss concerts. Consider this our first of many. You're welcome, Miami. Purchase your concert tickets here. Thursday, March 30 from 6 p.m. to 10 p.m.
South Florida's only donut festival is back for another gathering of the best donut shops that will benefit the good work of United Way of Miami-Dade. We're talking a night of gorging on Mojo Doughnuts, YoNutz and other local and national donut greats, during which you'll get to vote on and crown your favorite. Adding to a truly delicious experience are beverage sponsors Concrete Beach Brewery, Voss, Deep Eddy Vodka, and Nespresso. Tickets, which include unlimited donuts and two beer tickets, won't be sold at the door so don't forget to purchase your event tickets in advance here. Thursday, April 13 from 7 p.m. to 9 p.m.
Join us in judging Miami's best baguettes at the second annual Baguette Battle Miami. The event will gather South Florida's top bakers to present their best baguettes and artisan crafted breads to a panel of judges, who will crown a winner through a blind-tasting contest. Attendees will be treated to a grand tasting of baguettes with a cheese, jam, and charcuterie buffet, as well as a complimentary glass of wine. Purchase your tickets here. For the fourth year in a row, poetry is infiltrating the streets of Miami. The Festival returns in all its creative glory to bring the gift of poetry to Miami-Dade County's 2.6+ billion residents. 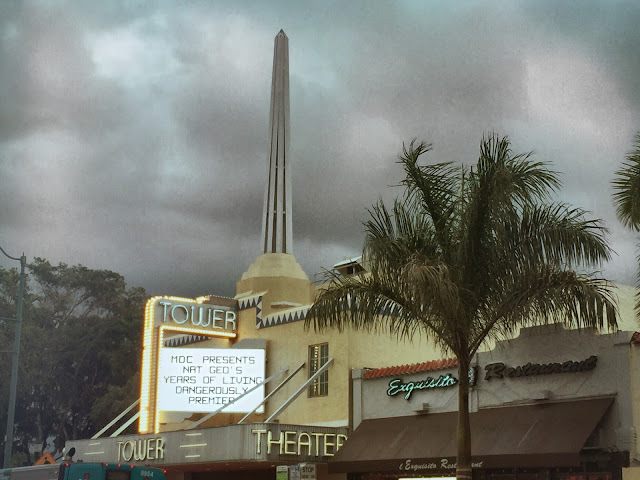 We're talking poems in doggy poo bags (read, "poo-etry"), on Metro Dade transit passes, on hotel door handles, on city buses, on theater marquees, on gas station pumps, and even outdoor pieces visible from our causeways. Find more information on this year's event calendar here and make sure to keep an eye around town for sneaky acts of poetry! Thursday, April 27 at 6:45 p.m. The annual corporate run is back in downtown for its 32nd year and yours truly is excited to participate again. We have officially thrown down the gauntlet to our co-workers, challenging them to beat our 5K PR of under 26 minutes. We can't wait to push our limits and run our little hearts out through downtown. Most of all, we're psyched to share this experience with our co-workers. Are you participating? If you're planning to, register here right now! Registration closes on Wednesday, March 22 and is 75% at capacity. Visual and culinary arts will come together at Villa Azur for an exclusive vernissage by Fomento & Formento—the dynamic husband-wife team known for their romantic and stylish photographs that explore in-desaturated, cinematic scenes, themes of love, longing, and the burden of memory. 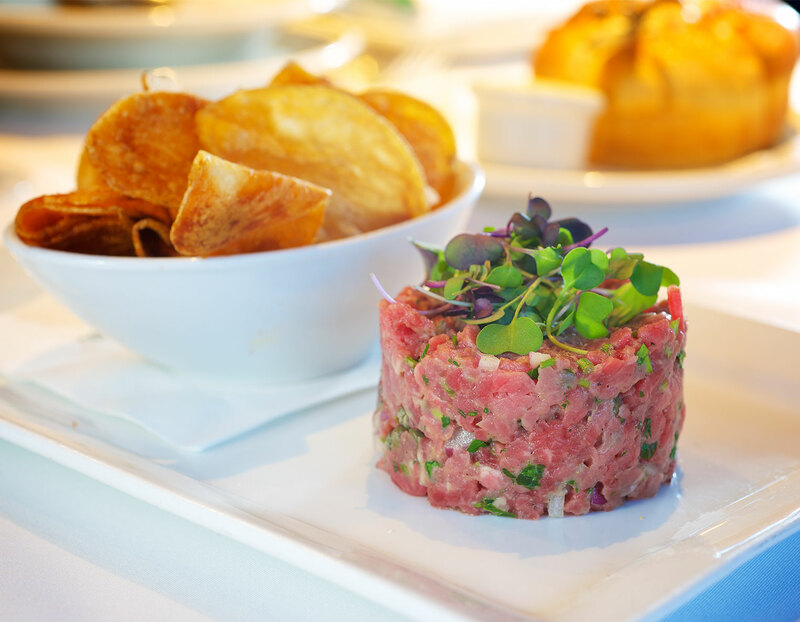 The private art exhibition includes a 5-course dinner featuring decadent dishes such as salmon tartare, scallop carpaccio, and lamb medallion, each paired with a glass of Dom Perignon's best selections. Dinner is priced at $250 per person and can be reserved on OpenTable. In recognition of its mission and their goal to rally behind small businesses, the Prism Group's network of local support is celebrating National Small Business Week by collabriating with local partners to host a series of events, including a mixer at The Anderson, lunch at La Fesa Francesa, and a Meet and Greet at BREW. Join them throughout the week at these daily open forums for collaboration and productive discussion on how we, as a community, can help make opening and being a small business less complicated. Click here for the full schedule of events. Thursday, May 4 from 7 p.m. to 9 p.m.
MOCA is dedicated to making contemporary art accessible to diverse audiences, especially underserved populations. The museum will launch its spring season with Synergism, an exhibition that centers on a search for freedom of expression from a husband and wife duo that emigrated from the Soviet Union to the United States on a life-long journey towards the contemporary art scene. The exhibition will be on display from March 23 through May 21, 2017, with a special evening of Russian delicacies, a vodka tasting, live music, and a conversational VIP tour with exhibition artist Ekaterina Khromin on May 4. Thursday, May 4 from 6 p.m. to 10 p.m.
Friday, May 5 at 9 a.m. The Langford's monthly breakfast series connects like-minded individuals with local innovators and creators who are shaping the way of Miami's future. This month's discussion will focus on the serendipity of Miami architecture and how unexpected designs change the way we live and play in today's world. The panel, which will be moderated by our dear friend Shayne Benowitz, will engage Darin Held (BLOOMMIAMI), Richard Miltner (The Wolfsonian-FIU), Robert Ayona (BLOOMMIAMI), Matthew Lewis (LAND), and Cheryl Jacobs (MCAD) in thoughtful conversation. Signature breakfast and refreshments, compliments of the hotel, are free with RSVP at rsvp [at] workshopcollective [dot] com. Friday, May 5 starting at 5 p.m.
From American Social Brickell's all-you-can-eat taco bar (accompanied by a live mariachi band) to a Cinco de Mayo crawl in South Beach between Taquiza, Olla and El Grito, South Florida's largest piñata at Cinco de Wynwood, to a free ice luge tequila shot when you walk in the door at Bitter Truth, Miami has big plans for us on Cinco de Mayo. Don't miss out on any of the fun, just make sure to assign a Designated Driver or commit to Uber before you head out! Want to keep the celebration going into the weekend? Toro Toro Miami's weekly "Tacos y Chelas" is back Saturday, May 6 from 11:30 a.m. to 3 p.m.
Tuesday, May 9 at 8:30 p.m.
French film festival "Films on the Beach", an initiative of the French Embassy Cultural Services, is back for its 4th edition with free open air screenings at Soundscape Park, as well as free special screenings at O Cinema Miami Beach, the Miami Beach Cinematheque, and Faena Bazaar. The movies, which will play throughout the month, have been carefully curated to evoke the French teen spirit from the '60s through present day. The inaugural screening at the Soundscape will feature the film Once in a Lifetime by Marie-Castille Mention-Schaar (2014), a nod to teens from the 2000s. All films are in French, subtitled in English. Click here for the full schedule of screenings. Thursday, May 11 from 7:30 p.m. to 9 p.m. The "Rooftop Unplugged" series brings one of my favorite local acts, the Magic City Hippies, to the Filling Station Lofts for a rooftop concert overlooking the Miami skyline. They just returned from a sold-out national tour so this is our opportunity to welcome back our hometown musical heroes Miami style. Friday, May 12 from 7 p.m. to 10 p.m.
South Florida foodies unite to fight childhood hunger for the 29th year in a row. The annual tasting event will feature the area's top chefs, sommeliers, and mixologists and will provide guests with savory samplings, craft cocktails, and delectable desserts. The event will be emceed by Lisa Petrillo of CBS4 and by Nick Pena of Y100 and thefood-e.com. Purchase your tickets here. Your contribution will contribute toward making sure all children in this country get the healthy food they need every day. Sunday, May 14 from 11 a.m. to 3 p.m. Mother's Day is a reason to brunch in honor of mom and we're huge fans. What I love most about this particular event, is that it also comes with a DIY terrarium-making class which is a super unique way to bond with and spend more time with mom other than just eating. Start out with a specialty brunch buffet ($58 per adult, $25 per child for raw bar, salads, hot selections, a carving station, and desserts as far as the eye can see) and round it out with a class guided by Succs for You Miami where you can build your own terrarium ($30 per adult, $15 per child), a gift that will look beautiful in your home and remind you of the fun you had with mom! To make reservations for brunch and/or the DIY class, all you have to do is call 305-264-4888. MOCA is dedicated to making contemporary art accessible to diverse audiences, especially underserved populations. The museum will launch its spring season with Synergism, an exhibition that centers on a search for freedom of expression from a husband and wife duo that emigrated from the Soviet Union to the United States on a life-long journey towards the contemporary art scene. Everyone's favorite Khaleesi (Emilia Clarke) stars in Voice From The Stone, an independent film that will be showing exclusively for one week in 11 different cities nationwide, including our beautiful city. The suspenseful romance is set in 1950s Tuscany and tells the haunting story of a nurse aiding a child through the trauma of his mother's sudden death. As she struggles to bring the silent child back into the world, she finds herself submerged into deep, hidden secrets of the castle where the family lives. Watch the trailer and purchase your tickets here. Starting Friday, May 5 at 6:30 p.m. Theaters in Miami Beach (O Cinema), Tamarac (The Last Picture Show) and Boca Raton (Living Room Theaters) will play host to the highly anticipated documentary In Search of Israeli Cuisine directed by Roger Sherman. The film explores the diverse flavors of the small country, which houses over 100 nationalities and creates a portrait of the Israeli people through food. James Beard award winning chef Michael Solomonov (of Zahav) plays guide, entering peoples' lives and kitchens. Watch the trailer and purchase your tickets here. Jeremiah Tower was one of the most controversial and influential figures in the history of American gastronomy. In this foodie film produced by Anthony Bourdain, follows Tower's career from its beginning at renowned Chez Panisse in 1972 to his nearly two decade disappearance to his re-emergence in New York City's fabled but troubled Tavern on the Green. The rise-and-fall of America's first celebrity chef is chronicled with interviews by Mario Batali, Anthony Bourdain, Ruth Reichl, and Martha Stewart. Okay, so this one is not in Miami but I'm a HUGE fan of skiing and thereby a HUGE fan of après skiing. I am super jazzed that Aspen's premiere après ski experience has decided to grace South Florida. There are pub crawls, seminars, parties and a grand tasting village. Click here for a full schedule of events, to purchase tickets, and for more information. Saturday, May 20 from 1 p.m. to 5 p.m.
Lilly Pulitzer's eponymous brand started because she opened a juice stand in Palm Beach and wore brightly colored shifts to hide juice stains. Today she is remembered for her vibrant printed pieces. To celebrate the brand's "Splash into Summer", Lilly Pulitzer is hosting a complimentary pop-up juice stand where shoppers can sip on refreshing lemonade and fruit punch. Sunday, May 21 from 3 p.m. to 7 p.m.
Miami's favorite pop-up market of local creators is back. If you haven't been, here's what to expect at the Miami Flea. Basically, it's a great place to pick-up gifts, accessories and other fun nicknacks made by our very own neighbors. I will definitely be stopping by to pick up goodies for my new apartment. St. Jude Children's Research Hospital and RA Sushi have teamed up to raise funds for research to help cure childhood cancers and other life-threatening illnesses. RA Sushi will be donating 100% of your purchase from a week-long special menu to St. Jude. Items on the special menu include RA's Tootsy Maki, "RA"ckin' Shrimp Tacos, Ahi Tuna Poke and other delicious food, as well as a selection of cocktails, wine, beer, sake and non-alcoholic beverages. Thursday, May 25 from 4 p.m. to 6 p.m. The Falls is hosting a free fashion show inside BRIO Tuscan Grille where you can peep the latest summer trends over live music, light bites, and refreshments. There will also be raffle prizes from participating retailers. Plus, guests who give a $10 donation will receive a special discount card with savings of 15% to 25% off one item at participating retailers and a swag bag filled with retailer goodies. All proceeds from the event will be donated to the Susan G. Komen Foundation. Friday, May 26 from 7:30 p.m. to 10 p.m. The Miami Gay Men's Chorus will pay tribute to the 40th Anniversary of The Village People with a show-stopping cultural performance at the Colony Theatre. Attendees will be transported back to the 70s with a curated soundtrack of top hits from Earth Wind and Fire, the Bee Gees and more. Click here for tickets. The Danish training ship Georg Stage will be moored in Museum Park Miami. As part of the OutCities partnership with the City of Copenhagen, attendees will board the magnificent Danish training ship the Georg Stage for a truly unique and artistic podcast-tour experience. Click here for times and other information on this free event. The 4th Annual Haitian Caribbean Book Fair, presented by the Miami Book Fiar & Sosyete Koukouy of Miami, will lively up the Little Haiti Cultural Complex for a whole weekend. With Jean Mapou at the helm, this free event offers dance and music performances, hands-on activities for kids, writing and publishing workshops, panel discussions, film screenings, readings and book signings, and more. We're most intrigued by Sunday evening's Voudou ceremony and all the Haitian food we're expecting to see throughout. Click here for the full schedule and more information. Thursday, June 1 from 6:30 p.m. to 8:30 p.m. 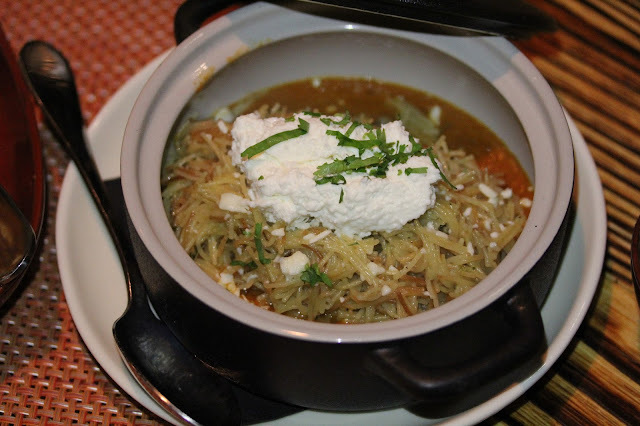 Taste of the Gables, the official kick-off to Coral Gables Restaurant Week, is back for its tenth year. This year's event, presented by Don Julio and Ketel One, will offer guests the chance to taste some of the best bites prepared by over 20 of Coral Gables Restaurant Week's participating restaurants, including from two-time "Best Taste of the Gables" champion, Bulla Gastrobar. 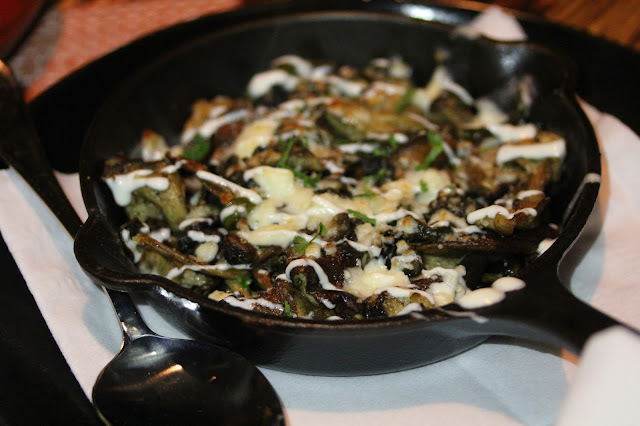 Pro tip: It's a great opportunity to sample the options for Coral Gables Restaurant week and strategize which prix-fixe menus (at 20% off) you're going to tackle between June 5th and June 25th. Miami has a quick turnover of people and businesses. For better or for worse, it's part of our nature. The magic of the places that withstand our ephemeral nature is that they become landmarks of the Miami story, of our personal stories. 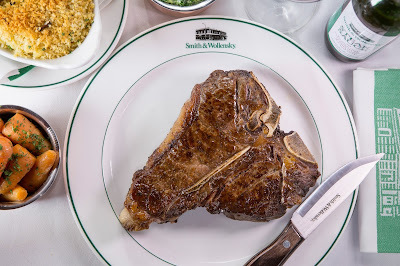 Smith & Wollensky Miami, for example, is where Brad and I celebrated our engagement, where I have toasted friends turning a year older (including a half century birthday! ), and where I have cemented new friendships over sunset drinks. It was on their second floor outdoor deck that I unknowingly forced small talk with a Japanese diplomat during a work function. And, it is through their bustling outdoor café that I run regularly during my afternoon runs. For nearly 20 years, Smith & Wollensky's South Beach location has been the setting of Miami memories, not just for mine but for those of many locals and visitors as well. (The restaurant averages 170,000 guests a year!) 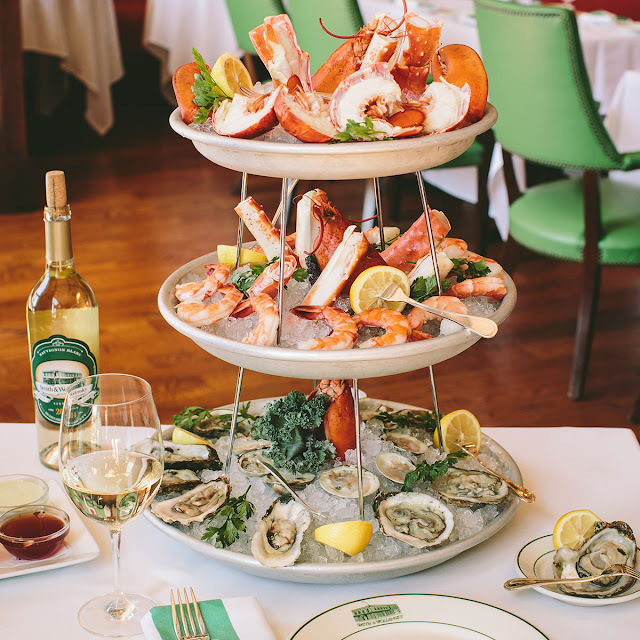 Between its gorgeous sunset views and Miami's love for quality steaks and seafood, it comes as no surprise that it is the Boston-based company's highest grossing location. And, thanks to its recently renovated space, it is primed to be an even bigger success in its third decade. 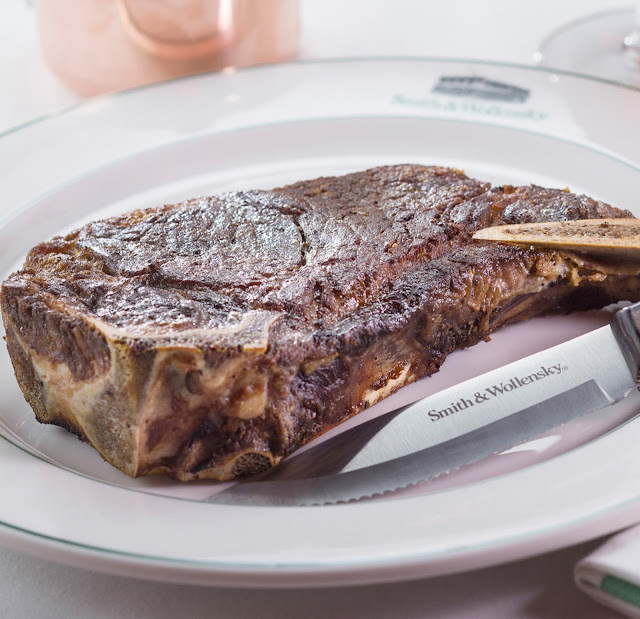 Let the record show Smith & Wollensky's new look is on fleek. And, while it will take a few visits to get us accustomed to the changes, they have given us more reasons to come back and make new memories. Miami is a great home away from home for international imports like me because it welcomes and fosters our cultures. As a Mexican living in Miami, I regularly speak Spanish, can easily travel back to México, and can find real Mexican food (the good stuff, not Tex-Mex) when I crave the flavors of my home country. The birth place, the customs and the family I left behind are a big part of who I am so finding traces of them in my new home makes living away from them substantially easier. I have lived in South Florida most of my life—17 years to be exact—and recently became a U.S. citizen. And, as much as I love and am grateful for my new country, I can't deny that a piece of me still considers herself Mexican. When I meet other Mexicans, I am overly excited to bond about Mexican things, letting slip mi acento de chilanga. When I butcher the pronunciation of a word, my favorite excuse is "I am not from this country". And, I comfortably slip into the role of the token Mexican friend when it comes to Cinco de Mayo celebrations (a 100% American holiday, by the way), tequila shots, Taco Tuesdays, etc. I show off my Mexican identity like a badge of honor. After my family, the thing I miss most about México is hands down the food. Yes, we have a handful of authentic taquerias and a super clutch Mexican market in Homestead, but Mexican food is so much more than that. 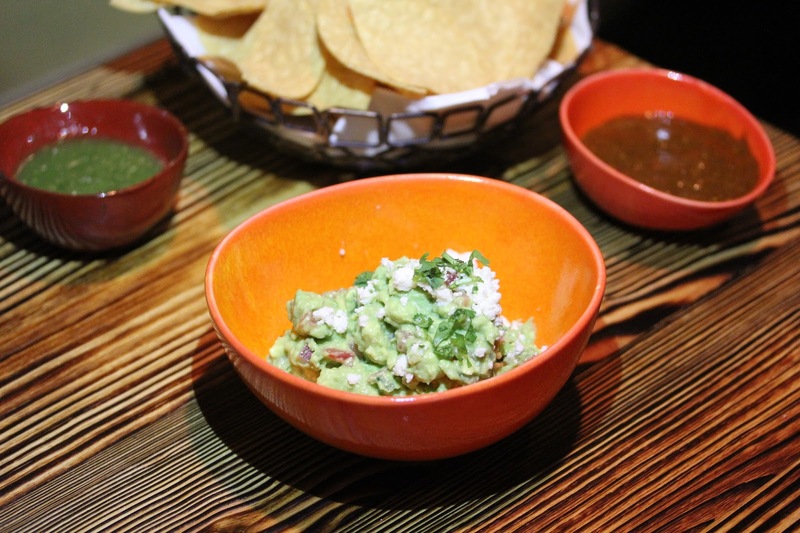 Mexican food, like American and other classes of cuisine, spans a wide range of flavors, regional influences, and price ranges that can't be and aren't all represented within our city. That said, every once in a while, a new restaurant comes along that expands the selection of foods that remind me of my Mexican childhood and, in doing so, makes me a very happy niña. The most recent arrival to fit the bill is Chef Scott Linquist's (of COYO Taco fame) OLLA, the November 2015 opening party of which was detailed by our contributor Belen. 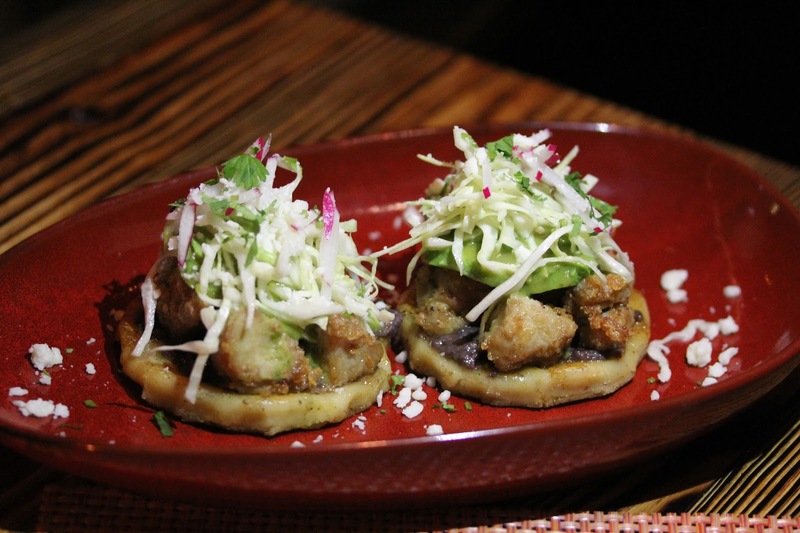 There's a lot of deliciousness happening at OLLA's Lincoln Road outpost. For starters, the drink options are on point. They have a full bar, wine, beer, beer mixed with lime juice and sauces (cheladas) and other Mexican cocktails. Then there's the dinner menu, which to my surprise includes perfectly cooked fideos seco and esquites (my favorite dishes from childhood and favorite dishes on the menu) and to the dismay of my most recent OLLA companions does not include tacos. If you're in the mood for tacos, you have two options: 1) stop by during lunch when the menu includes tacos and bolillos; or, 2) order the rajas or huitlacoche ollas with a side of homemade tortillas and make your own. Other worthwhile options include the jar of remolachas, the jar of ahumado, the chicharrones, and the costilla enchiladas. My final 2017 resolution is to explore more—that is, go to different places, find adventures, make new friends. Yes, it definitely means traveling to new countries. (I love to travel so it always has been and always will be #goals.) But, more importantly, it means leaving the Beach more frequently so I can get to know other areas of Miami as intimately as I do my neighborhood. The first adventure of the year took me (and other Miami bloggers) to the Redlands for the first-ever Patch of Heaven Gardens x Cao Chocolates tasting. The road to the Redlands was long and riddled with rain from the incoming cold front but I turned on the Gilmore Guys podcast and trekked onward, laughing uncontrollably at Demi and Kevin's antics. After I pulled off the Turnpike, farms, pine rock-land, and tropical hammock quickly replaced strip malls until all I could see was fields of green on either side. I don't know the area so I was a slave to Google Maps until I reached what appeared to be a driveway, only the friendly face of Yessy, POHG's Event Coordinator, peeking out from behind thick vegetation confirmed I was in the right place. I only saw a limited portion of what I hear is a stunning, 20-acre property so, for this visit, the meal was the pièce de resistance. You could not tell at any point that the Cao Chocolates team had to adjust last minute to the lack of power. Seriously, every bite was exquisite and perfectly cooked. I was also impressed with their ability to use cacao in every dish (especially the dark chocolate in the panini which is literally everything). After sitting through a guided tasting with Chief Chocolate Officer Ricardo and eating his wife's food, it is evident they know chocolate better than anyone I know. In fact, Ricardo has made it his life's work to study chocolate from bean to bar and chose Miami for his #MiamiBeanToBar movement and is working on a special project with POHG to bring 100% Miami chocolate. 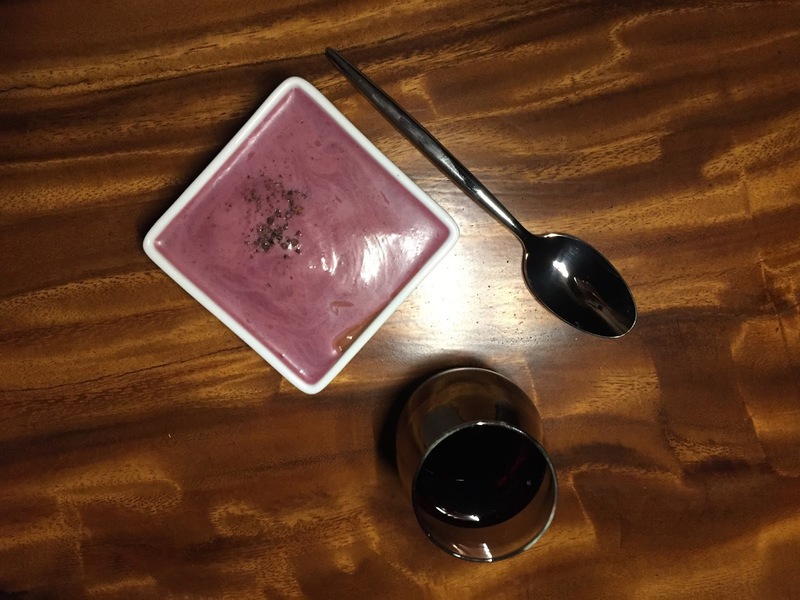 We can't wait to come back to POHG at the end of the month for their January 28 POHG Tasting event to get the full tour of the property and get seconds of Cao Chocolates' menu. (Seriously, guys, it was SO good!) They will be hosting a tasting every month with a new menu. Also, keep an eye out sometime mid-2017 when, at a limited-seating tasting, the team will unveil their 100% Miami chocolate made with cacao grown at POHG. Cacao doesn't usually grow in Miami and, in the few places it does, is not used to make chocolate so this will be Miami history in the making. Keeping in mind my 2017 resolution, you know I'll be there. Subscribe for a monthly recap of all things Miami directly to your inbox! © Thank You Miami 2016. Powered by Blogger. © Thank You Miami | Miami Fashion, Food & Lifestyle Blog. All rights reserved.